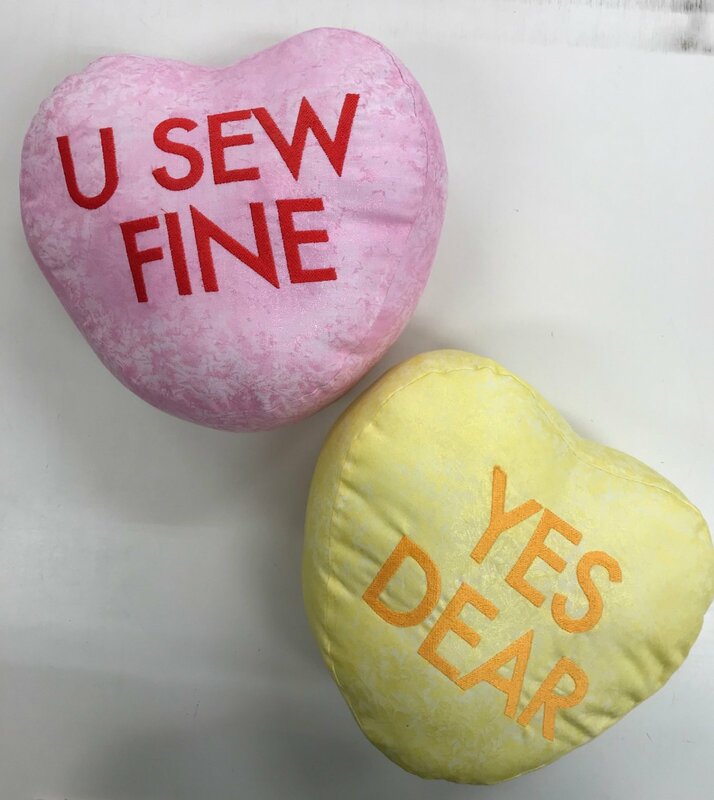 These adorable pillows with cute embroidered sayings will be the hit for Valentine's Day. Free embroidery design for class participants. Don't have an embroidery machine but would like to try, let us know.